In my travels around South Africa, presenting GPS Challenges, I have come across many historic events which I do not remember having been taught at school but which I believe are important to our South African history. The John Household story is one of these deserving of a place at the top of the list. It is generally believed by most people today that Chanute Lilienthal, in 1896, flew in a glider and that the Wright brothers flew for the first time in December 1903 in a powered aircraft. There are some conflicting stories about the Wright Brothers flight but it generally believed that these facts are correct. About this time the story of John Goodman Household’s achievements comes to light. 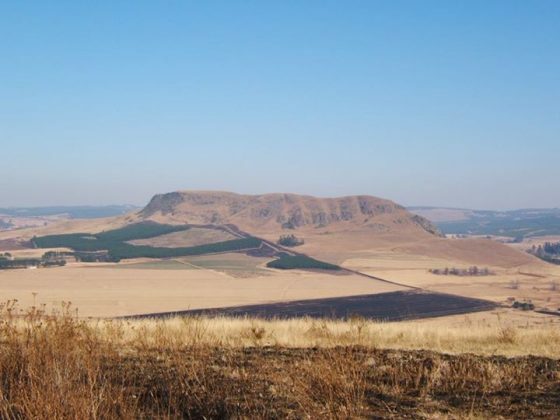 John Goodman Household lived on the farm Der Magtenburg, in the Karkloof area near Howick in KwaZulu Natal. No written record can be found that John Goodman Household and his brother designed and built the world’s first heavier than air glider. Their first craft was a single wing hang glider with a shifting seat. It was shaped on the form of a vulture and built of bamboo, river reed, oiled paper and rope. It is claimed that this first design never took to the skies. The second aircraft was, however, of a similar design with the exception that the oiled paper was substituted with silk and the bamboo with steel rods. The first flight in the redesigned craft, is said to have taken place in 1871 and repeated again in 1875. The actual distance flown and altitude achieved differs from source to source (some sources say the distance was 80 metres) but what can be verified is that the distance flown was further, and the duration was also longer than either of the flights made by Lilienthal or the Wright brothers. The second flight was not as successful as the first and ended in an abrupt ending when the craft plunged into a tree and plummeted to the ground, resulting in Household breaking a leg. It said that after hearing about her son’s escapades, Household’s mother insisted that her son abandon his project out of fear that it would incur the wrath of God. On her insistence all records and designs were destroyed by burning everything. Other sources say that the glider was then stored in a barn and eventually burnt so he could abide by his promise to his mother never to fly again. For me an added bit of information of interest is that Household consulted the then Anglican Bishop of Pietermaritzburg, Bishop John William Colenso who was a known mathematician, theologian, and philosopher, missionary and humanitarian. He also translated the entire New Testament and part of the Old Testament into Zulu and wrote the first Zulu / English dictionary. One source says that Colenso designed the aerodynamics of the wings of the glider for Household. Bishop Colenso was later excommunicated for his interpretation of the bible which did not conform to the teaching of the church at that time. Today a memorial has been erected in memory of his achievement at Curry’s Post, near Howick, which I came across by chance during my travels. 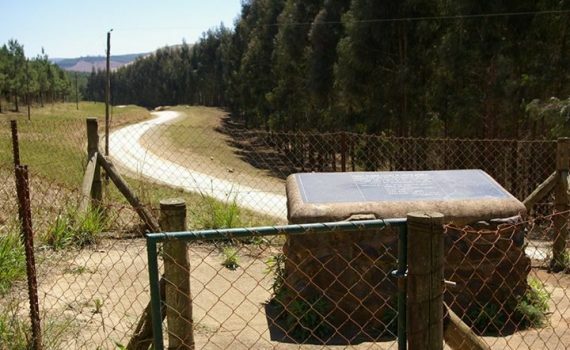 Directions to the memorial: from the centre of Howick take the Karkloof Rd (MR 141) north past the Amber retirement developments. 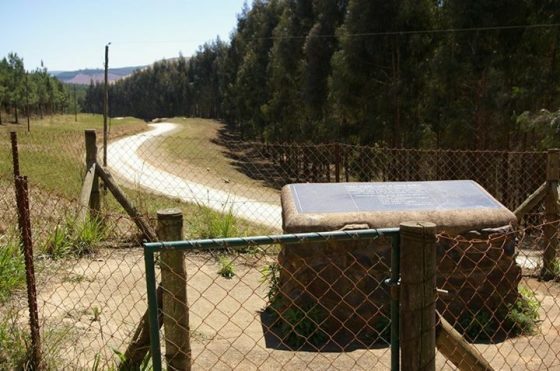 After (not opposite) the Karkloof Club, turn left onto the gravel road (D145) for a few kilometres and then turn right and then immediately left again and follow this road (D293) until you see the monument on the right. If you follow the D293 past the monument heading west, you will end up on MR165 in Curries Post where there are a number of good lunch spots, notably the Trouberdour and Mulberry Hill.